The first book of The Mechanica Wars, a steampunk adventure like no other. At the age of twenty, Kanze Zenjiro's bloody footprints mark the bodies of those who stood in his way to protect the throne of Nihon. Now, the tyrannical Iberian Empire is bent on destroying his kingdom, and they send their steam-powered giants and iron spiders against him. Find Jay at: Blog, Facebook, and Twitter. Fun Fact: In Iceland, 80% believe in existence of elves and roads are rerouted and buildings not built anywhere an 'elf home' might have been said to exist. She is also known as the awesome Summer Ross! They say God gives second chances. Forty years have shown Wilhelmina has nothing but a lifetime of four failed marriages, a job she hates, and her most recent affair with a married businessman. Until one day, while sipping coffee her silent prayers are answered--she’s visited by her future self, offering Wilhelmina a chance to re-do her life, giving her a mission to save the future world from the baby she’s unknowingly pregnant with. Is it the miracle she hoped for, or will this lead into a whole new set of problems? Find Time on Her Side on Amazon - free November 1-5. 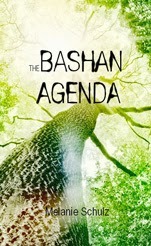 Part two of The Newstead Trilogy, The Bashan Agenda picks up right where The Newstead Project left off. Nathan's truck eventually stops in the small town of Wilson, NY, and Rachel's still in it, not that she wants to be. But she figures at least in Wilson she'll be able to have a fresh start. She forgot one thing: they can be anywhere. As Joel trains with his father, doubts begin to rise in his mind. Is he really who he claims to be- and more importantly does he have an agenda all his own? When the maps to Bashan come out, Joel realizes maybe it's not such a good idea to be putting so much trust in one man. Find it on Amazon - free November 1! NaNo begins today! Good luck to all participating. I wrote my second book, CassaFire, during Nano 2010, so it can be done. Today is also the blogfest in honor of the release of The Spirit of Christmas Anthology, featuring JA Bennett, Kelly Lynn, David Powers King, Jessica Salyer, and Cassie Mae. Proceeds all go to NaNo! 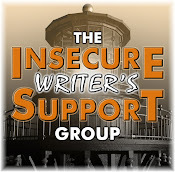 And the Insecure Writer’s Support Group posts next Wednesday! My awesome co-hosts will be CD Coffelt, Tina Downey, Isis Rushdan, and Michelle Wallace! I finally get to participate again! Pink Floyd’s Welcome to the Machine has been remade numerous times. A couple of my favorite bands tackled this classic, resulting in two very different and yet still true to the original versions. Shadows Fall did a more straightforward take while Arjen added his own flair. Both are much heavier than the original – bonus! I finally read it this past summer, knowing the movie was coming out and to satisfy my curiosity about comparisons made to my first book. It does pose an interesting question – is it right to destroy someone for the greater good? It’s also NOT a young adult book – it’s just a science fiction book with kids in it. The theme is dark and the main character kills. The ending surprised me and yet it didn’t. Overall, it was good but not great. And as for comparisons to CassaStar – both feature a main character who’s a loner with great potential, difficult to like, and undergoes military training. (Actually I found most of the characters in Ender's Game difficult to like.) But that is where the similarity ends – they are very different stories. Hearing that they may have toned down the story and changed the ending for the movie makes me leery. However, I still intend to see it – must support a science fiction film! See any new books you have to pick up? (With that list, I hope so!) Participating in NaNo? Ready for the Miss You Blogfest and IWSG next week? Get any of the trivia right? (Yes Suze, I will do more book trivia.) Read Ender’s Game? And which version of Welcome to the Machine do you like best…? I'm super excited to read Talli's book!! I want to read Talli's book and the rest look good, too. Ah, so many books to read. I read Ender's as an adult and found the ending a bit flat and predictable, so I'm glad they've changed it. Whether that change is an improvement is of course another matter entirely. Thank you so much Alex for taking the time to post about my cover reveal. Your rock! As ever so many great books out there. Congrats to you all. IWSG sure comes round quick! Congrats to all the authors with the new releases! There are so many, my TBR list seems never ending at the moment. Congrats to all the authors on the new releases, and thanks for the free books! No NaNo for me this year. Jay's cover says action all the way. Congrats to all with new releases. Medeia and Kyra, Talli is an excellent writer. I've only read one chick lit book and it was hers. Moody, that is the question. Lots of releases! And some exciting-looking books. I heard about the changed ending in "Ender's Game." Very interesting. No NaNo for me, but I always feed off the excitement from the other writers who do. I much prefer the Shadows Fall version as it's smoother more Floyd. The second version is good, but the vocals are a little to breathy and dramatic and the instrumental backing too choppy. That is a lot of books out today. I've never read Ender's Game. As for the battle of the bands, I like Arjen's version. It's very original. Books galore at your shore, some awesome covers too. damn, kick myself for missing the last trivia one, knew that. The fourth never would have got ever. Awesome covers! Can't wait to see Ender's Game in cinemas this weekend! THank you, Alex. So many great books to read. Great for a Kindle book hoarder. Those look like some very good books. That first one threw me for a loop! I read Ender's Game a while back (as well as the sequels) and I loved it. But I agree it is NOT a book for kids. Teens and up imo. Congrats on the new releases. I already have a couple of them. That steampunk cover rocks it. I loved Ender's Game. As you said, it poses interesting questions. I loved the next book in the series, Speaker for the Dead and loathed the next two. lol But the Bean series, Ender's Shadow, were awesome. The most recent one made me cry. I read Enders Game a while back and don't really remember it. Why do they change the endings. If it's good in the book why isn't it good in the movie? Annoys me. Love the cover on Dragonfly Warrior. There are lots of good books coming out but how many can one read? Surprised you hadn't read The Hunger Games Alex, I liked the first book best, but it was a good series. Not seen the movies and probably won't. Wow look at all those great books coming out!! Can't wait for the film! But I'm more excited for The Hobbit!!! Melanie, you're welcome! I couldn't see much similarity either. Brian, a Cassa movie would be awesome. Pat, you got several though. Elise, hope you get a lot written. Debra, that made me laugh. No NaNo for me. I've declared the UnRaNoWriMo (under the radar novel writing month) over at my blog. No pressures, just writing. All are welcome to join me and just write! I read Ender's Game for a Sci-Fi class in high school. I did like it, but I felt it was a bit dense to get through. I think I need to give it a reread. I'll most likely see the movie at some point. The original publication of Ender's Game was as a novella, and I thought it was tremendously strong. I never read the expanded novel version. I'm guessing it's not as good. Holy cow! Lots of great news. Lots of great covers and books! Have a good weekend, Alex! Jo, if you don't remember it, then that's not good. Hunger Games just isn't something I want to read I'm afraid. PK, glad you agree it was very different! Sarah, took me a couple months to read it as well. Charles, I didn't know that. Madeline, it was a good movie! Lots of news and info! I thought about reading Ender's Game a lot of times, but never really felt like picking it up - I'll definitely watch the movie though! Jay's cover looks fantastic! I'm so excited for him! So many great books out today! I've had Ender's Game on my kindle for ages now but haven't gotten around to reading it just yet. Awesome cover by Jay! Ender's Game is not a great novel, but the ending blew me away when I read it. It's funny that they shortened the span of time to a single year for the movie. We'll see if it works. A lot of great books!!! I wish tremendous success to all!!! And your review of Ender's Game captures a lot of my thoughts also. It's a very good book, but hard to like any of the characters. I need to read the first sequel -- I've heard it's the better book. Battle of the Bands: Nice rendition of the tune in both cases. Shadow's Fall is very good -- heavy although pretty straight-forward. But I kept waiting for that blazing metal guitar that never really came (there was small hint at 3:00). Arjen Anthony Lucassen's version is much more creative, I think. A nice interplay of intricate parts mixed really well, including some excellent guitar harmonies. I vote for Arjen -- Much more of a creative take, I think, while still keeping true to the original. Lot's of new books this week! Thanks for posting on mine. :) I have to say I like the 2nd band a bit better. As for Ender's Game, I'd read it if I could find it on audiobook from the library. I'm not sure if I'd see the movie otherwise. I'm using Nano to finish White Hellebore. Haven't read Ender's Game yet. Hoping to soon! Jay's cover is awesome! I'll be revealing it on my blog next week. Have a great weekend, Alex! I have been absolutely OVERWHELMED with good books of late- overwhelmed because I am so HORRIFICALLY behind on my reading list and there's so many amazing new reads being offered! And now with NaNo starting... Ah! "Just keep swimming, just keep swimming!' Yeah. Cathy, that made me laugh!! Juliana, after the movie, you won't have to. Ilima, about half that time before I see it. Chris, I might read more, might not. Vote noted! That's my sentiments. I like the changes in Lucassen's version. Nancy, you're welcome. And vote counted. So many books and not enough time, Captain. Just like music. Not enough time to listen to it all! I haven't read Ender's Game. I think I need to. YaY Talli! YaY Nicole! Congrads to everyone who has a book coming out! My hubby's shop burned to the ground on Wednesday. We lost everything. It's close to the house and barn. Praising Him that the fire was contained before it made it's way through the woods to our home. Insurance guy comes out today. Have a great weekend Alex. Hello to the Mrs.! Read Ender's Game and now want to see what they did with it in the movie. The book is dark--not a children's book at all. Lois Lowry's The Giver is a book also I don't think a child could appreciate. I hear a movie is being made from that. I have to like some character in the books I read ... which is why I have never read ENDER'S GAME -- why spend days with people whose company I do not enjoy. So many great books being released. I wish all of them luck and high sales!! I didn't even realize Ender's Game was supposed to have a twist ending until I talked to other people about it after I read it. I knew that's what was going on for much of the book, so I was kind of surprised to find that other people didn't see that coming. Congratulations to everyone with new releases! Good luck to all of the NaNo participants. Exciting month ahead! I am so excited for Jay's cover reveal. I really like the sound of "Time on Her Side." It sounds quite exciting. Congrats to all of the authors! This is quite a busy week in books!. I also like the Shadows Fall version, as it's closer to the original. Thanks for all the updates Alex! The problem with the Ender books (IMO of course) is that they start when the boy is a child (genetically advanced). The first couple of books are not as interesting as the later books when Ender and Valentine, and Peter are older. The characters aren't always likeable, but the later books are better than the first few. I've read the full series. In one of the later books, the question you pose is considered by Ender. Good luck to all those with books being launched! Have a great weekend, Alex. (I couldn't see the bands but it's likely my browser) Will check back later. I read Ender's Game last year for my first time and really enjoyed it! I agree with you that it's not a kids book; sometimes adult books with child protagonists get incorrectly marketed as children's or YA books. But I think recommending it to both teens and adults is good. I would have really liked this as a teenager, but I think I got more out of it now. I haven't read the sequels yet. I'm looking forward to the movie. I hope they haven't ruined it! First off, I prefer the Shadows Fall version. The other one sounded too spacy for too long in the intro for me. I was bored by the time they started singing. And I didn't care for the voice of the singer all that much... So, definitely Shadows Fall for me. Congrats to all of the folks with books coming out. I didn't read Ender's Game and I doubt I will watch it at the movies. Too many other things I REALLY WANT TO SEE right now! Lots of great books listed today! Lots of news as usual. I keep adding to my list and wondering when I'll have time to read all of them. I haven't read Ender's Game. Maybe I'll take a short cut and just see the movie. I think I liked Heavy Metal the best. The second one didn't do much for me. I haven't yet read Ender's Game, but I keep wanting to. Both of my boys really liked it. Right now I'm reading a book by Craig Venter, about all of the steps leading up to the decoding of the genome. I'm understanding more than I thought I would, which is partially a testament to the clarity of his writing. Robyn, I'm sorry! Glad that's as far as it got though. Roland, that's why it took me so long to get through it. Andrew, like I said, I was surprised, and yet I wasn't. Julie, your vote is noted! DG, just so hard to keep reading about unlikeable characters though. Sherry, a couple were sent to me, but today's post was a lot to organize. Not doing NaNo. As looking forward to Ender's Game. I have work to do to get ready for next week. Lots of good news - congrats to all the authors! Have a great weekend! I can't keep up with all of the books coming out. So many great reads! I didn't think I'd like either version of the song, but I actually really like the second. It's creative, spooky, and he has a great voice. Wow, so many new releases! Congratulations to everyone! I haven't read Ender's Game, but I've heard people say it's good. Still ... I'll probably watch the movie before I read the book! So many good looking titles! I listened to both versions. 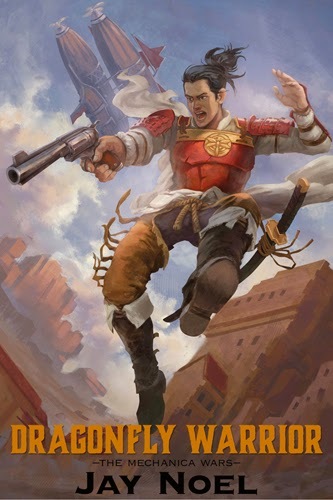 Of course, the original will always be the best but I did like the second one by Lucassen. I'm all for harder but this one kicked it up a notch more. Very cool version. Wow! Lots of great books to check out. I'm looking forward to seeing Ender's Game, but yeah, the book is definitely not a kids' book. BTW, have you ever read the original short story that the novel came from? It's interesting to compare the two. Sadly no audio at the library. Congrats Jay and Decadent on a pair of great covers. Enders Game movie is a must see for me. Next? Catching Fire of course! CassaStar and Enders Game will have similarities and difference. It's the author who makes the story unique. Enjoy your weekend Alex. Awesome new covers! And yay for all those books. A great way to start November. I'm ready for IWSG next week with a helpful tip for reducing insecurities and stress. Have a wonderful weekend, Alex! I like the covers! Yes, I read Ender's Game when I was a teenager, and I'd never read Science Fiction before. I loved it. Me and hubby made our book club read it about a year ago, which was fun (they're readers of contemporary romance and thriller/suspense). Still liked it! Little bit apprehensive about the movie, though--don't know if they can pull it off. Have a good weekend! Thanks so much for sharing my cover with your readers, Alex. Wow, Lots of good stuff coming out. I enjoyed Ender's Game. The ending blew me away, and I grew up reading very edgy YA books. But still, I wouldn't consider it a YA book either. November's a busy month (already). So many options there! As you know, I'm so not a fan of them changing the ending of Ender's Game in the movie. I'll still go see it though. Congrats to all those with new books. I especially love Jay's cover. Excellent! Congrats to those with new releases! And best of luck to all Nano-ers. All the new releases sound amazing, congrats to everyone. Ender's Game was extremely dark and I'm also curious to the changed ending. Looking forward to seeing many movies this season. Thanks to google, I believe I made a clean sweep with your trivia, Alex. Shelly's book sound great can't wait to start it. Some great covers previewed here. So glad to see Jay's book finally coming out. Shadows Fall (sorry about that-computer broke-typing on my 'not as smart as it thinks phone) as it sounds more like Floyd. Yay for Jay and Decadent. Congrats to Melanie, Shelly, Nancy, Nicole, and Talli! Wow! And awesome! That was my opinion of Ender's Game. I listened to it on CD back and forth to the observatory one summer. I'm interested in hearing what you think of the movie. Talli's book is on my wish list! Welcome my son, welcome to the machine... it's funny I only really started liking Pink Floyd very late and this is the one song that sealed the deal. I was unaware of the covers, thank you. Some great new cover reveals today, proud to see such wonderful art and design. Lots of good books coming out! Best wishes to all the authors. I saw Gravity this weekend in 3-D an absolute MUST SEE whether you're a sci fi fan or not. Omigosh what an amazing film. Have you seen it Alex? You might have reviewed it here and I missed the post. I'm curious about your reaction to it. Absolutely brilliant film. Those books look good. I've heard others say good things about Dragonfly Warrior, so maybe I'll check it out. So much happening I am dizzy!!! Think I need to listen to some Pink Floyd and relax! That's a lot of books to read. I shall be spending ages reading some of them to my human. Ready for "Give All Blogfests A Miss" blogfest. 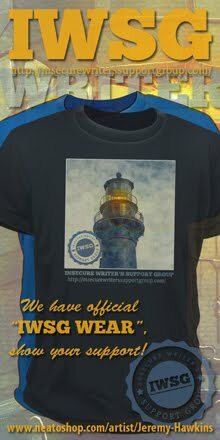 "IWSG", I shall continue to support and have some good natured fun with that. Yes, even on that "Farcebook" page. A good weekend to you and your adoring human fans. LOVE to see all these new books come out! Robyn, one more for Arjen! Heather, I agree - very cool version. Connie, I haven't - someone said the short story is better. Sheena-kay, mine certainly had more feeling. Cindy, saw it tonight - condensed, but same feel as the book. Lynda, small change and done just due to time constraints. Doesn't really affect it though. Cathrina, the movie is just as dark. David, I will have it up Monday! Mary, about the same as I thought of the book. Doesn't make me want to read or see more. Jeremy, I was never a fan although I respect them as musicians. Karen, I did review it - great film! 3D a must. JE, it comes out next January. Gary, and we appreciate your support! What a great book day! Congrats to everyone. I'll be busy looking at them this weekend. I assumed Stephen King was the Dark Tower author, but after thinking about it, that was the name of the series, not sure if any of the actual books was called The Dark Tower... pretty tricky. I haven't read Ender's Game in a very long time, I used to love it dearly though. I probably won't see it until it's on cable though, I'm having to make some tough choices, and chose to take the fam to see Thor next week. And yes, I'm doing Nano... thinking of quitting already. Pretty sad. I absolutely agree with your take on Ender's Game. I love that it didn't have a happy Hollywood ending. Whenever a person tell me the age of the protagonist plays a part in the age of the book's audience, I point them at Ender's Game or Game of Thrones. I love love love Shadows Fall. I'd never heard their version of that song. Tonight's going to be a Shadows Fall night! Now I'm going to holla at Jay Noel! Sigh. So many great-sounding books (and gorgeous covers), so little time to read anymore, but I'll still try. Congrats to all! I love the CassaUniverse poster!!! Congratulations! The cover reveals look pretty awesome, and yes, there were a few I'd like to read. Time on Her Side and Last Christmas in particular. I almost bought a copy of Ender's Game - then I found out it's at least a trilogy. I'm so behind on my reading, I didn't want to add to it. My husband is very excited about X-Men. I'm waiting for Thor! And Book Thief. So much good news! A lot of great books on that list by the looks of it! Rusty, I knew that one would throw some people. Go see Thor - better choice. David, you rock! Glad I could enlighten you to a new song. Rhonda, but you'll have time to load that Kindle. Words, the story stands on its own. I don't plan on reading more. Jemi, they are in the movie. Just read John Green's 'The fault in our stars'. I liked the book a lot. Want to watch Ender's Game. Can you believe it I am yet to read this book. Btw, I watched Gravity and I loved it. What did you think of it? the talent of the cover artists blows me away. If I had a quarter of that talent I'd ... well, I'd make some covers. Ender's Game isn't receiving very good reviews here in BC. Poor old Harrison looks old. Hi Alex .. love Decadent Kane's cover ... I downloaded Shelly's book - sounds an interesting premise. 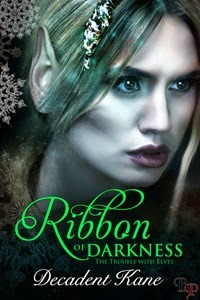 I'd like to read Ribbon of Darkness - Elves and darkness... um! Really have no idea re WTTM - my hubs is the Floyd fanatic. Nope, no NaNo this year - no time :( Defo next year though. I was not sure if this was a three-way choice or a choice between the two covers. If the original was a choice, I'd go with that hands down. Of these two, I like Lucassen's better. Have you ever heard the Dream Theater boot of Dark Side Of The Moon? Did I ever tell you that a former co-worker's husband owns a recording studio in western Massachusetts, and numbers Shadows Fall and Killswitch Engage among the bands he's produced? I finally met him a month ago (had known his wife for years, but I was in AZ and they were in CT(, and told him how jealous I was-he has my dream job! Oh - but I have to add that although I love Ender's Game, I didn't love it enough to pick up any of the sequels, vs I get everything that Peter Hamilton writes. So who can tell about tastes and opinions? I like the book cover Shelly Arkon! Stephen, but which of the two remakes would you choose? Rachna, Gravity was great. Ender's Game film was just as cold as the book. Joylene, even the reviews here that like it aren't that positive. Larry, awesome you met him! Both of those bands I count among my favorites. Did know about Dark Side and your vote for Lucassen is noted. Lexa, sorry you can't access Amazon. And I'm not rushing out to get any of the sequels. It's always interesting to read how people define YA for themselves. Here, you seem to have boundaries that Ender's Game can't be YA because it's dark and the main character kills. I don't know if I've ever heard the latter used as criteria before, whereas I know I hear about "dark YA" all the time. What is the heart of YA for you, Alex? That's not meant to be pejorative. I'm interest because it's such a subjective realm. Great book covers! Congrats to all. I agree about Enders Game--it isn't YA at all. Yes, there's a kid in it but that's all. Good book though. Not my fav and I think the end was a bit too abrupt, but an interesting twist there, for sure. I'm not super excited to see the movie, but probably will end up seeing it, maybe in the dollar theater or when it is released on DVD. Loved Talli's The Hating Game, so will definitely pick up that one. So many books...so little time. I'm excited about being an IWSG co-host this month! Thanks for letting me help out! So many awesome books, so little time! Wishing big sales to everyone! I was really interested to read your review of Ender's Game. For some reason, in the last year I've heard about this book from different people over and over and over again. It was so odd that it was like the Universe was trying to tell me to read it! And now the movie is coming out. Although I'll try anything, sci fi isn't usually what I read so I haven't bought it yet, but I still feel like it is a book I really need to read one day. I am curious now. LOL. Ender's Game is one of those books that you either love or find so-so. I've found that those who love it have often experienced institutional bullying in some major way in their lives - I literally felt like Card had taken notes on my life as a kid for the book when I read it the first time. It's often called young adult, but I read it the first time at 17, and I think that's about the right age. On the movie - it is different, but not in a bad way. It's just different. The basic premise is much the same - they took out the vulgar parts (think Bernard's harassment of others and Bonzo's stuff with his slate) and kept only the key pieces of bullying that shape Ender. So, it's actually cleaner but more focused on the hard aspects of war and training for it. Hey Captain, I have been in Havelock, NC at a huge band competition...sorry I am late! I will sleep on it...yes, it is early, no late! So many great books by excellent people. I wish time was on my side so I could read them all quicker! I'm reading CassaFire right now. Inspiring to know it started life during NaNo! So glad to see Jay's novel finally on the way. BIG fan of Ender's Game, probably have read it three times or more, and the movie did it justice. Some changes made, obviously, but it was true to the source material overall. John, to me young adult is aimed at teens. Ender's game was not written with that audience in mind - it was written as a standard adult science fiction story. Changing the classification to cash in on the young adult craze is lame. And I do think the material is adult or upper teen. Julie, exactly - just because there's a kid doesn't mean it's young adult. Tina, thank you for co-hosting! Tyrean, maybe that's why I found the book - and movie - only so-so. Thought the movie was very true to the source, just really condensed and simplified. Hey Ella! You were in our neck of the woods. And I did remember to change my clocks. Milo, I thought it was very true to the source. Hi Alex -- I'm happily doing NaNo this year (as PattyPetunia), reading Hugh Howey's post-apocalyptic thriller "Wool," and trying to declutter my office. There are a lot of good books mentioned here, at least they sound good. I'll definitely be looking into Ribbon of Darkness. I wasn't aware that people were calling Ender's Games YA; it's totally not...I too worry about how much they have toned down or changed for the movie. I only got one right on the trivia. I really must start cheating on these and use Google, but I guess that wouldn't be as much fun. I read Ender's Game. It's an unpopular opinion, but I agree that it was hard to like most of the characters. 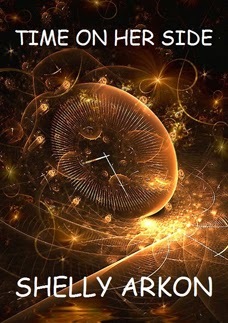 I would love to participate in NaNo some day but I'd need to figure out my story first. Toinette, it's not young adult at all. And you'll be happy to know, they didn't tone down the movie. Ice Girl, I don't think you're the only one with that opinion. I felt the same way about Ender's Game, good but not great. Wow, totally marking Ribbon of Darkness on my calendar! And I agree about Ender's Game. I hate with film adaptations alter what doesn't need tweaking...but that's Hollywood for yah. Just remember that you REQUESTED that I return here and cast a legitimate vote on your 'BOTB' selections, and also remember that I believe honesty is the best policy. Bearing those things in mind, I have to say that I strongly disliked (and that's toning my real opinion down a notch) BOTH versions of 'Welcome To The Machine'. I listened to BOTH of them all the way through this time and, frankly, they both sound satanic to me; I can easily imagine demons dancing to that in hell when the devil throws a big bash. I'll vote for the Arjen Anthony Lucassen version because he might actually understand what Pink Floyd was saying in that song, but primarily because it was slightly shorter so it ended sooner. Sorry, Bro, that's my honest opinion. Although I will add that "You bought a guitar to punish your ma" is one of the great lyric lines in Rock 'N' Roll.